What do you think of when you hear the words “quiet time?” Do you think of duty or delight? Maybe you feel slightly guilty because you just haven’t been able to squeeze Bible reading and prayer into your schedule. 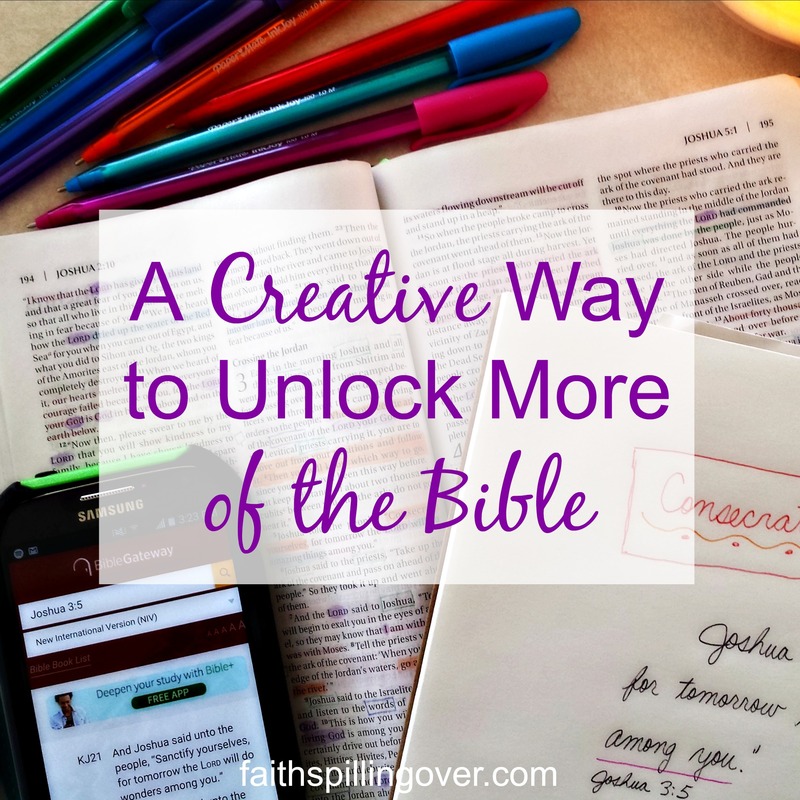 Perhaps you feel you’re not quite getting it right because you’re snatching 6 minutes to read Scripture before you go to work rather than spending an hour a day filling out a Bible study page. Or you can’t quite make it through your prayer list without getting side-tracked. May I speak a little grace over us today? The Lord delights in the smallest offerings. 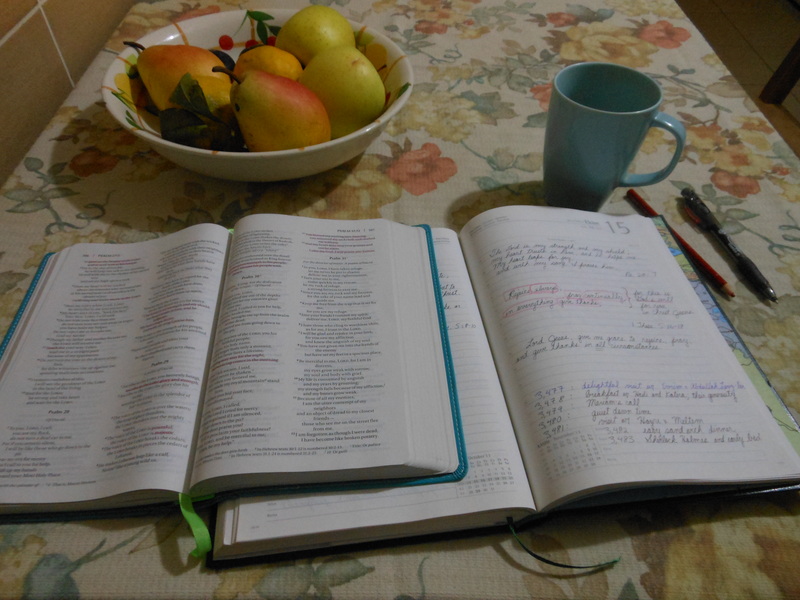 Of course, God rejoices when we spend extended time meditating and delighting in His Word. He is pleased when we give Him time in prayer or worship. 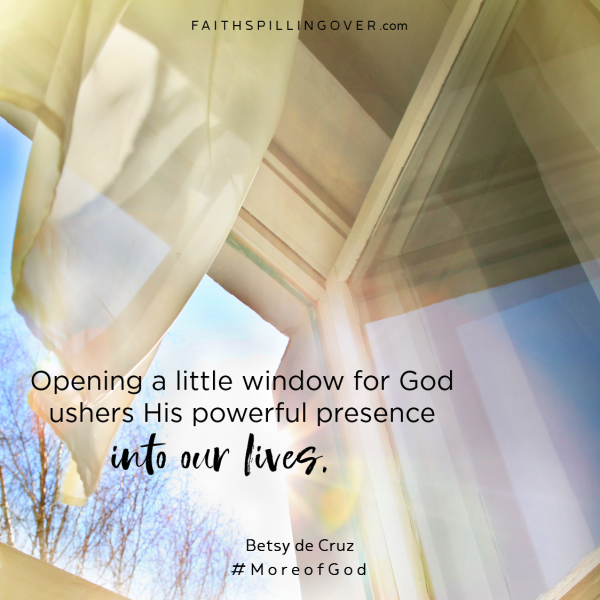 Yet He also delights when we take 5 minutes to read Scripture, send up a prayer on our way out the door, and sing loud worship along with the radio on our way to work. God loves even our smallest offerings when we give them out of love for Him. Remember the widow who offered the two copper coins? It looked like a small offering, but Jesus valued it because she put in all she had to live on (Mark 12:41-44). In the same way, I believe Jesus rejoices when the mother of a newborn and twin toddlers spends five minutes reading His Word or lifts up a prayer as she straps her kids into the mini-van. He delights in the single mom who squeezes in a few minutes to sit quietly and listen to a worship song after dishes are done and the kids are in bed. Please follow this link to join me at Katie Reid’s place today to read the rest of this post. 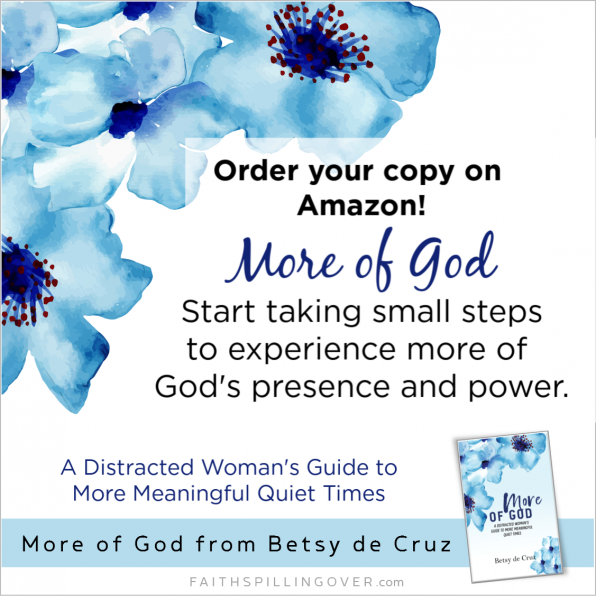 I’m talking about my new book More of God: A Distracted Woman’s Guide to More Meaningful Quiet Times. I pray my book will bring new freedom and renewal to women’s hearts. When you try to read the Bible, do you ever feel like it goes in one ear and out the other? It happens to me all the time. In the morning, I’m encouraged by a truth or promise I find in scripture, but by the time I clean up the 5th mess in the kitchen, I don’t have a clue about what it was. If you’re like me, you wish your relationship with God made a bigger difference in your everyday life. During Sunday worship, you feel spiritually refreshed, but by the time you corral your kids to the car, your nerves are on edge again. Monday morning finds you back in the rat race, overwhelmed by school lunches, that work project, and that hard conversation you need to have with your husband. Then your 12 year old tells you he needs to go the store for science supplies before school! Don’t we all need a little more grace for the hard, hectic days? Grace to stop, breathe deep, and remember He’s with us? Grace draw near to Our Helper and do the next thing in front of us. Grace to recognize God’s hand at work in our lives. Don’t we all need a little more hope? Hope remembers all the promises of God are “Yes” in Christ (2 Corinthians 1:20). Hope tells us one bad day doesn’t mean a bad life. Hope always whispers that more joy is around the corner. We forget that Grace and Hope came to earth as a person. 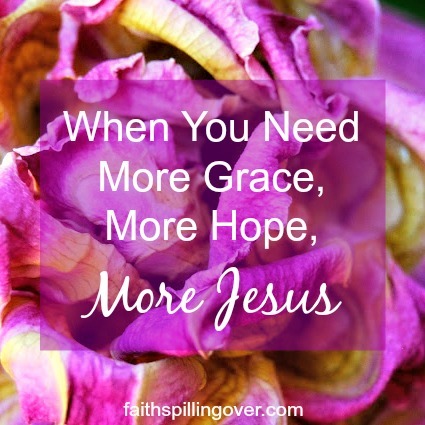 The truest path to more grace and more hope is more of Jesus. He is the way, the truth and the life. He has everything we need. Let’s draw nearer to Him, shall we? I’m not always sure how to do that, are you? How can we have a relationship with Christ during our Monday through Friday lives? How do we maintain a meaningful connection Him when we’re running like hamsters in a wheel? Maybe we need to take baby steps towards Jesus throughout the day. When we call on His name and invite Him into our lives, He comes with grace and hope. Need help for the task in front of you? He strengthens and enables. Need wisdom? He gives it. Do you need someone to listen to your disappointment or sorrow? He hears, and He comforts. All we need to do is pause for a moment to pray. Maybe we need to return to Our First Love with a renewed commitment to set aside time for Him. A small commitment of 15 minutes each day might be the most powerful step we can make towards opening our lives up to the transforming power and love of God. Spending time with Jesus in the morning improves our outlook, helps us hear His voice, and sets us up to walk with Him throughout the rest of the day. I want to invite you to a 10 day journey to focus on Christ and get to know Him better. 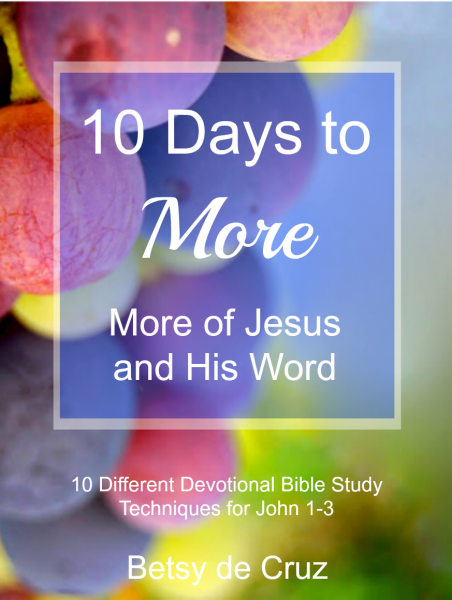 I wrote 10 Days to More to encourage women to draw nearer to Jesus and to explore different ways of interacting with God’s Word. 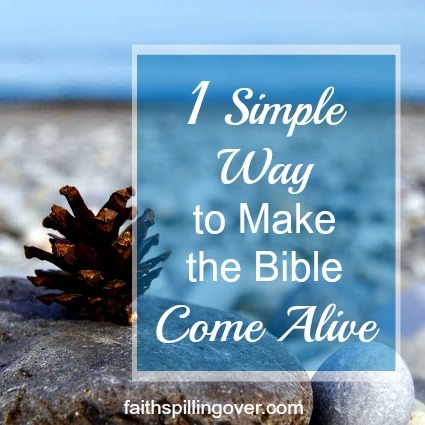 If you’d like to join me, add your email in the subscription box on the sidebar of this blog. 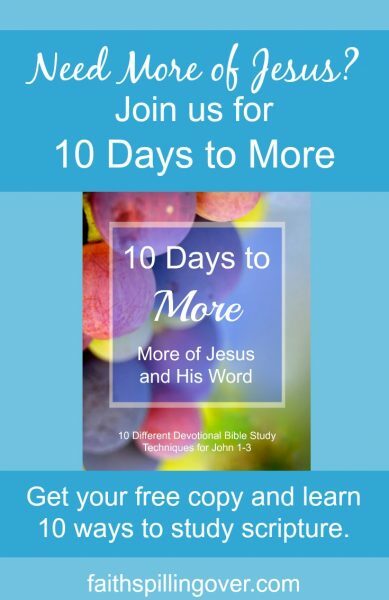 I’ll send you a free copy of 10 Days to More. I hope you find encouragement and ideas to spark renewal in your quiet time and relationship with Jesus. 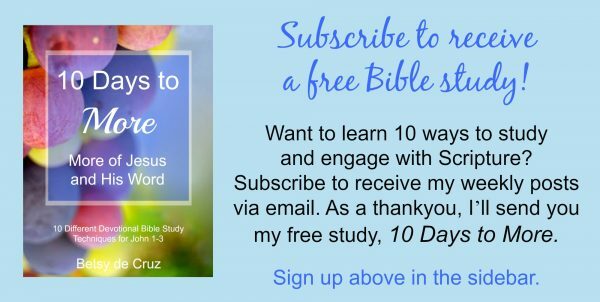 Together, we’ll look at a different way to do devotional Bible study each day. Let’s take baby steps towards more of Jesus in our lives. God loves any small effort we make to draw near to Him. God loves any small effort we make to draw near to Him. Did you enjoy this post? You can subscribe to get fresh servings of Faith Spilling Over delivered weekly to your inbox. Enter your e-mail address in the box at the top of this page. 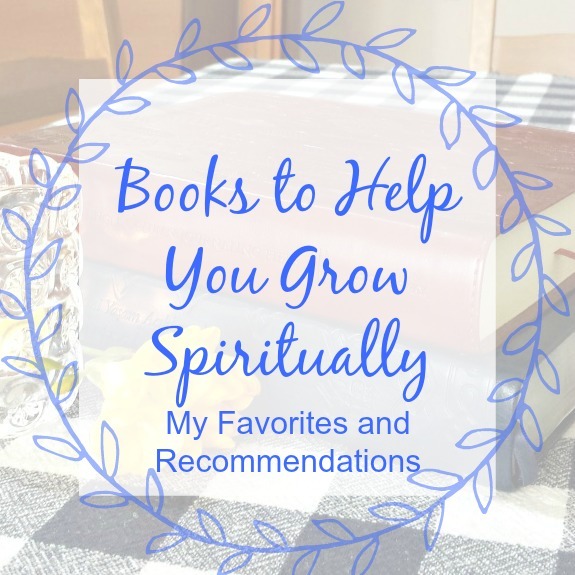 I’m linking up with Holly Barrett’s #TestimonyTuesday, Kelly Balarie’s #RaRaLinkup, Holley Gerth’s Coffee for your Heart, Lyli Dunbar’s Thought-Provoking Thursday, Crystal Storms’ #HeartEncouragement, Suzie Eller’s #livefreeThursday, Arabah Joy’s Grace and Truth, and Susan B. Mead’s Dance with Jesus. Check out these communities for more encouragement. Twenty minutes I spend each morning at my kitchen table impact my life more than anything else I do. I enjoy my first cup of coffee and read God’s Word in the quiet. I don’t read the Bible just to cross it off my to-do list because that’s what Christian women are supposed to do. I read it because I need to hear God’s voice.